You might want to check out mi.yodeya.com, the Judaism site on the StackExchange network. They allow questions and even answers from anyone, but the community editing and voting process, along with the great crowd of people who tend to hand out there tends to result in excellent, well-sourced answers being posted fairly quickly for most questions. Full disclosure: I founded mi.yodeya and am a member of Mi Yodeya. I have frequently seen such questions posted to general-purpose social media networks like Facebook, Twitter, and Reddit (particularly the Jewish corner thereof). These sites don't have the same controls for quality that Mi Yodeya does, but they can often draw large numbers of people to address a question, relatively quickly, with varying degrees of seriousness and usefulness. There is an email list called Mail Jewish which discusses matters of this nature. This is a listserv which has been in existence since the before the beginning of the internet (it goes back to the original Bell Labs days) and has dealt with all issues involving Judaism. It is a moderated list, so it is recommended that you look through the archives to see what types of things are discussed. Not the answer you're looking for? Browse other questions tagged product-recommendation internet . Is there a good Jewish discussion forum whose members are respectful of Halacha? PTIJ: When will the Purim story take place? Holiday cooking: website(s) with prepared menus? 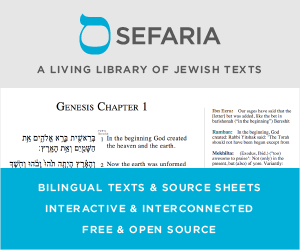 Is there anything halachically or hashkafically wrong with installing reference computers in a Bet Midrash?